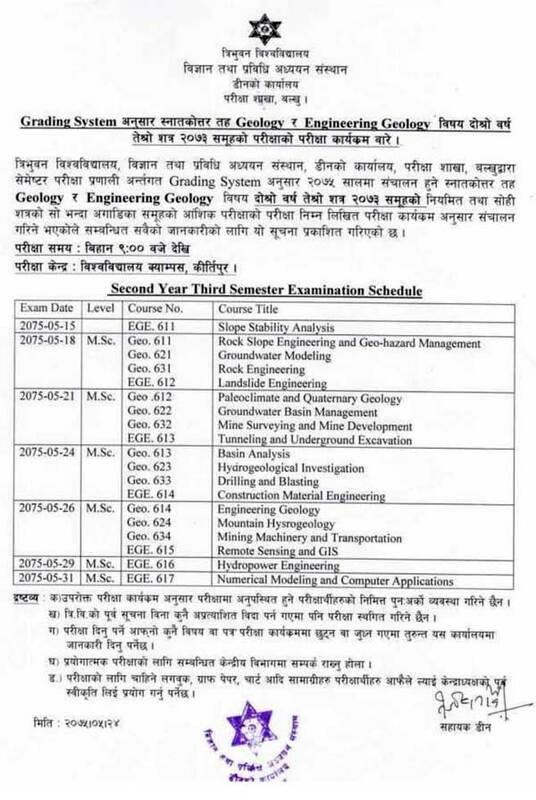 Tribhuvan University, Institute of Science and Technology, Dean Office, Kirtipur published the exam routine of the M.Sc. Geology and Engineering Geology Second Year Third Semester 2073 group and previous group of the same semester. The examination starts from 2075-05-15 and ends on 2075-05-31.